The large lifestyle estate market is as popular as ever and, as well as being inhabited by regular contenders, an increasing number of manufacturers new to the segment are joining in. 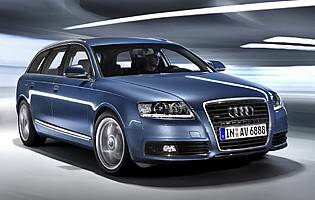 In response to increased competition, Audi has unveiled its revised A6 Avant alongside a similarly reworked saloon model. As with many Audi facelifts, the A6's makeover has been subtle but effective. The visual changes are so subtle that they amount to modifications of the lights, bumpers and grille, but the net result is that the A6 looks fresher and neater than before. In addition, those choosing the high specification S-line model benefit from LED daytime running lights as standard, adding style as well as being a useful safety feature. Inside there are more subtle changes. The vast majority of the cabin remains as stylish and practical as before, but the luxurious feel is enhanced by improved materials and the addition of extra chrome detailing in choice positions. In addition, the centre screen benefits from enhanced graphics which are much clearer and more pleasant to look at. The technology behind those graphics is another big change, as the Multi Media Interface (MMI) system has been given attention too. The sensible and simple layout remains, but the central rotary controller has gained a joystick control, making it easier to browse around on-screen maps with the optional satellite navigation system. This has also switched to a hard disk-based arrangement, allowing greater detail and the option of storing music tracks. Mechanically the A6 benefits from revised suspension settings, including larger dampers at the front for improved control. 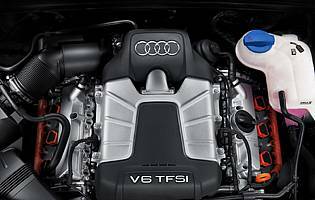 Quattro models now have a 40/60 torque split front to rear which aims to improve the handling balance, while the engine range now includes a new 3.0-litre supercharged petrol unit and a high-economy 2.0-litre diesel. The subtle but detailed changes to the A6 have added more functionality as well as showroom appeal, while the improved engine range means there's something for everyone. 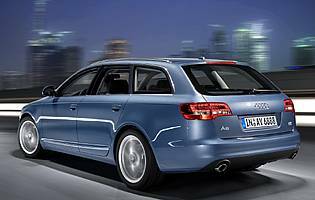 The keenest drivers may want one of its rivals, but for the vast majority of the time the A6 Avant has all the bases covered.